When the feces hits the celestial oscillator, our way of life is going to change, but it won’t really matter when the apocalypse happens if you create a culture of survival ahead of time. When it comes to raising animals, this is best done early. Animals require a lot of knowledge and practice to get right. The best preparation you can do is become an expert on the species that suit your needs, dietary habits, and available space. Some of these animals can be kept in your back yard, while others might require a few acres of land. Important considerations are how you would feed them if you didn’t have a feed store, how you would butcher them if you didn’t have a professional meat processor available, and how you would protect them from theft, disease, etc. I ate rabbit for the first time in Colombia. It tastes like a gamier chicken, with a bit less fat and slightly lower meat content, but all in all, it was quite delicious! A rabbit is probably one of the easiest animals to raise because they require very little space, and their diet is oftentimes made up of items commonly found in your back yard or garden. If you are raising for meat, aim for a medium-sized breed like Chinchilla or New Zealand Whites. Rabbits prefer a quality clover-hay but will do nicely on good alfalfa. Just keep their little hayrack full at all times. You can also feed them vegetable and fruit cuttings from the kitchen; just pass by them on the way to the compost bin and give them your peels, vegetable tops, and salad leftovers. Lawn cuttings will even work (if you don’t use a load of chemicals on it). Two does and a buck can produce up to 40 or 50 rabbits per year to eat. That’s a lot of meat, and in a survival situation, it is my number one for efficiency and production capacity. The same as goats, sheep are great for small acreages, they will consume low quality feed and thrive, plus their output is good in the same way! You can also consume sheep’s milk, although they don’t produce as much as goats, and culturally, the practice doesn’t really exist. But it could! The drawback with sheep is climate; they prefer it dry and arid and like higher altitudes. Sheep have a hard time in temperate or humid areas for obvious reasons. However, they do have their advantages. Meat and wool are both two valuable and useful commodities to have available, especially in cold northerly climates. Another benefit of any small livestock is that when you work them, they are easy to control and manipulate compared to a cow or a horse, where accidents can result in broken bones rather than broken nails or bruises. Another small livestock, goats are great if you are again limited on land and food resources. One of the greatest benefits from goats, besides meat, is their milk. Goat milk has the same hemoglobin structure as breast milk and is extremely digestible for humans. This is especially important if you or members of your family have trouble digesting cow’s milk. As meat, a medium-sized goat will feed a family for a couple days. They are also great for clearing tall grass and brush in lieu of a lawn mower. Some additional benefits from goats are their pelt, which can be made into vests, tool bags and rugs. The Mohair breed is famous for their fine wool, which is commonly made into luxury coats. One of the greatest benefits of all are their ability to produce two or three babies per year, which means a fast turnaround time for meat and milk. 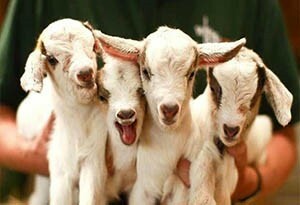 Bottom line: Goats produce an efficient and plentiful output for the input required. Like cows, they are big and inefficient. Their grazing needs are tremendous, and if your pasture is low on protein or your barn low on hay storage, then you will need to store concentrated feed. While many would think of a horse as a go-to vehicle and pulling animal, they require a high level of expertise and care to prevent injury and sickness. 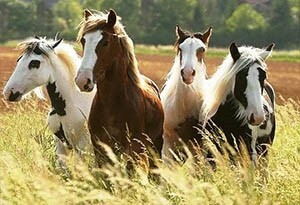 Horses are one of the only animals that require multiple experts to manage: a trainer to break them and make them useful, a farrier to trim their feet and keep them usable, and a vet to float their teeth and castrate. They can quickly consume a large chunk of time better reserved for other survival tasks. Unless you can train and trim, you might be better off with a couple bicycles. On the other hand, for people who do have the experience, a horse could be an extremely valuable animal both for their on-road and off-road capabilities and to cover great distances. There is nothing like a big juicy T-bone steak on a rough post-apocalypse day of survival. However, they have many disadvantages, which, in my mind, will disqualify them immediately as a post-SHTF livestock to raise. They require more land and food resources. Low output to input: Nine months of gestation means you will only have one calf per year plus the cost of feeding them both. Working them has a higher level of risk due to size and strength. Basically, if you have no prior experience or a small acreage, raising cattle in a survival situation may not be for you. In normal times, cattle can be woefully inefficient, and in extreme circumstances, they can be a huge risk for a low output. Remember, a broken bone is much harder to treat and receive proper care for in survival situations! I would only recommend cows if you have plenty of pasture, grain production, and years of expertise. Close to 1,200 pounds of meat will go a long way toward feeding your family plus the additional benefit of being a barter item if you are well-versed in the care and processing. Even so, I would hesitate. Better than an electric garbage disposal, pigs will eat almost anything. Leftovers, spoiled foods, and excess crop production—they will eat it. Just be sure they can’t get into your garden, because they are also nature’s plow and will turn the ground over in short order as they root and rut. Electric fencing is recommended for these animals to prevent escapees and from rooting down underneath. Now, on the topic of feeding, many producers mistake their high protein diet needs as an exclusively protein diet. Be sure you give them a balance of protein and carbs in order to gain weight, which means you can’t count on them eating exclusively from the kitchen and garden scraps. A pig will consume 800 to 1,000 pounds of feed to reach market weight, so plan appropriately. 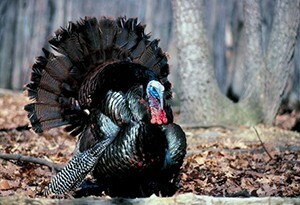 An American favorite, turkeys are larger than chickens and can help add variety to your diet. To have a turkey ready for Thanksgiving, you must have them started by June! If you have a large acreage, turkeys can forage for much of their food; otherwise, like chickens and ducks, you must have concentrated feed available for them as well. The cost to raise for one producer runs an average of $1.20 per pound. A quick note on turkeys: Domestic animals are easy to catch, which can make them susceptible to theft, as I discovered with a turkey I was raising last year for the big day. If you live in a heavily populated area or near busy roads, you might need to keep them in a movable shelter to prevent two-legged critters from taking advantage of your investment. Dogs are great to have in this situation to raise an intruder alert! Chickens are another great post-apocalypse resource to have available, but the drawback is they need concentrated feed to fatten up and gain the type of meat you will need for eating. If you are able to cultivate your own corn in high enough quantity, or obtain it regardless of socio-economic unrest, then you won’t have a problem. In recent years, there has been a lot of talk about grazing chickens in whatever field or pasture you have available using a coop on wheels that can be moved. This is great to augment their diet while aerating your pasture land and helping to cut down on bugs. If you have never tried a duck egg you are in for a treat as they are larger and richer in taste than the chicken eggs we are all accustomed to. They also tend to have higher nutrition levels too! 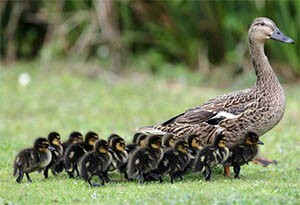 The only drawback to ducks is that they eat twice as much as chickens and can be very sneaky at hiding their eggs. This can be a benefit if you live in an area which is heavily populated by non-domestic ducks in a SHTF scenario where you hunt their eggs. Another drawback is their need to have a pond available to bathe and hunt food. They can live without water, but they prefer it. Definitely not an animal to have in the desert. There you have it—nine animals to raise (or not to raise) in a post-apocalyptic world. It all comes down to time and resources. If you are in the city, you can raise chickens, rabbits, and maybe even a goat or sheep to help augment your diet. A small animal with a large output can go a long way toward feeding you and your family in an extreme situation as well as giving you a barter item in the form of babies, eggs, milk, and meat. For people that have large farms and ranches with a long growing season, the larger animals like pigs, cows, and horses are easier to consider. Even so, I cannot stress again how inefficient bigger animals are for output and the risk of injury to the handler. Broken bones and infection can become a death sentence in survival situations. Contact your local agriculture extension to find out more information about which animals are best for your local resources and acreage. A Donkey is a better option than a Horse. They are stuborn and may be harder to train and you can once again get hurt by one because of the size. BUT they need less vet care, The hooves do not require a shoe. And If you train your Donkey well enought you can trim the Hooves your self. you to trim their feet. However, trimming feet requires a lot of physical fitness and experience and is rife with danger and accidents. I would advise any reader, not to take my word for it, but to do their research and decide for themselves the best option. This was well thought out. I would point out that shoeing horses isn’t necessary unless you have gravel roads, stony trails or such. We kept horses on the farm for 20 years and never shod one. My brother is alive because we didn’t, but he still carries the hoof shaped scar above his right ear where a shod hoof would have killed him instantly. 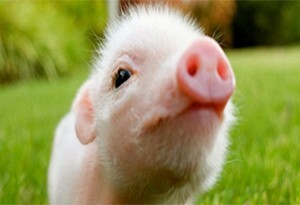 One point regarding pigs that was presented as a detriment but I tended to view it as lemonade time. Having had the pleasure of hand clearing a lot size area of black berries, finishing just before Thanksgiving with enough time to tractor rototill before turning out the pigs and ducks to exploit their feeding characteristic; the amount of remaining blackberry roots and other rhizome plantlife remaining when it came time to plant the garden reduced weeding time. considerably. We did lose one duck because the banana slugs that had previously been sequestered in teh blackberries & undergrowth was too large for one duck to swallow whole. Who would have thought to lose a duck that way. There are breeds of sheep that are less susceptible to foot rot that function well in the wetter climates. Oregon State University has been developing one that serves well. They have a greater tendency to throw triplets so bummer lambs must be dealt with. I think their lambing percentage exceeded 210% for the OSU stats back in 1995 when we got ours. I agree. I would trim a horse if possible over shoeing too, it really depends on breed and terrain. I had Arabians on dry arid terrain and they did pretty good but you had to keep them shoed usually because the ground is so rocky almost everywhere and it would wear their feet down or cause bruising. The pig discussion. I have read a bit about how to use rotational grazing with multiple species for land maintenance but I have no practical knowledge of it. What you said is a valid point of using pigs to turn over an area then send the birds in after to aerate and eat bugs. As for ducks choking on slugs….that’s rough. We had a cow die down here because an “x” snake (super venomous Colombian snake) bit it right in the balls. Usually they aren’t a problem for cattle. Weird stuff happens more frequently than we are inclined to believe. What kind of sheep are they? Never saw sheep like those but would like that breed of sheep if I could get some. 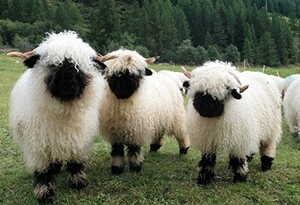 Those are Valais Blacknose sheep. 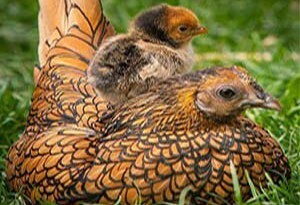 About chickens, recent breeds for meat do take a good ration to grow fast, but a mix of older breeds can forage and take but a little grain to supplement their diet. Bantams are quite hardy–after dogs killed a number of our chickens, one game little rooster went wild and was seen over several months afterwards. Some larger game hens migrant workers left at a rural rental trailer survived foraging on their own, roosting in a live oak for months after. Predators will get them, so protect, but feeding more rustic mixed poultry or even older standard breeds isn’t too difficult. Begin small and let them mix to regain rusticity. You may not always have hatchery birds to order. Like planting your own seed, the locally adapted will develop and be best for your yard. A diet of mainly rabbit does not meet the needs sufficiently.Years ago I heard of pioneers dying of “rabbit starvation for relying on them as a main meat source..
Do you remember where you read that about people dying of “rabbit starvation?” The USDA website talks about what a high quality protein rabbit is. In China, after a woman gives birth, she is given rabbit to eat to restore her life force after such travails, because they view it as the best quality meat there is. Maybe the problem was, they didn’t have enough of it? Protein poisoning (also referred to colloquially as rabbit starvation, mal de caribou, or fat starvation) is a rare form of acute malnutrition thought to be caused by a complete absence of fat. … Protein poisoning was first noted as a consequence of eating rabbit meat exclusively, hence the term, “rabbit starvation”. Ah! Thanks! That raises a good point I haven’t heard about much. What kinds of [good] fats will we have available to us in the case of a broken supply chain? Olives don’t grow where I live, for sure. The Native Americans of the northern Plains used sunflower seed oil, along with their animal fats, I’ve read. Down South, we can press peanuts. If you can raise a hog, lard is good. How many will have access to cream to make butter? Or be able to grow and press their own soybeans, corn, or rapeseed/canola? Much less safflower! So many of the oils are polyunsaturated and go rancid quickly, we read. What, exactly, did people do for fats in the old/bad days? Especially people who didn’t live in the country where they were able to raise cattle and swine? What people did was eat bacon. Bacon was salt pork, lots of fat and also salt which was a good thing if you didn’t have access to a Walmart where you could buy a box of Morton’s for a couple of bucks. We do need salt in our diet which is why it was an important item in the kit of mountain men heading out for the trapping season. We also need fat which is why bacon was considered a staple for the mountain men. Kept well and provided the fat necessary for the energy expenditures of the mountain men in running traplines in the winter time. If rabbit is the sole diet yes, a person can starve. It doesn’t matter how much rabbit one eats, you will waste away. If the diet has other sources of protein and carbs to supplement rabbit then you’ll be ok. I have heard that statement. 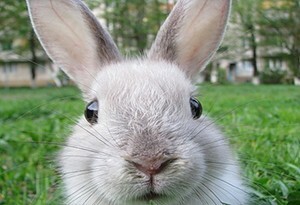 If one only eats rabbit one will starve to death. Supposedly there isn’t enough nutrition of what we as humans need to live on. I wouldn’t pass the opportunity to eat one though. 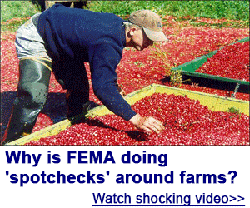 What about the fever they get in the summer….cleaning and butchering it alone could kill us. Term Rabbit fever. I know this 1st hand. We had over 30 pet and feral cats and kittens that would live at the barn and the woods. They came and went at their will. One day I noticed one dead then another and another….finally, number 13 and 14 caused me stress. Hmmm….this is not normal. I ragged and bagged 13 and 14 and off to vet med at the university. Test confirmed rabbit fever, although they called it something else but meant the same. I was told by vet med to go to my doctor….with paperwork in tow I did just that. We had to take medicine and start feeding cats in the open air. What happen was a cat caught the rabbit (which was sick) to feed her young and all other cats and kittens joined in and walked in the effected area. Over 30 cats dead. I mean alive and well one day and the next….stone cold dead. “In addition, humans could be exposed as a result of bioterrorism. “Symptoms vary depending on the route of infection. Although tularemia can be life-threatening, most infections can be treated successfully with antibiotics. Wow, I just checked out the CDC website you mentioned (thank you for the link!) for tularemia. Look at the US map of occurrences. My girlfriend’s father nearly bought the farm when he was skinning rabbits he’d shot. Nobody wore gloves in those days. Guess I had better add disposable gloves to the list of things to get! Easier than trying to find antibiotics when SHTF. Nature is weird. Variety is the key. Take for instance the berries that is suspected of killing Christopher McCandless. If a person has a variable diet and ate those berries their bodies could balance and process it. When it is the sole food, there you’ll have trouble. Rabbit Starvation happens because the calories expended in catching the rabbit in a survival situation exceed calories gained by eating it. I suppose it isn’t so much of an issue if one is setting snares. However, as a general warning against unnecessary energy expenditures when lost in the wild, the concept of Rabbit Starvation is still a good thing to keep in mind. It’s the lack of fat and carbs that causes rabbit starvation. A side benefit of goats: Their favorite food is poison ivy!! Well, one of their favorites, anyway! It doesn’t seem to bother them a bit. Really organic! Goats and sheep live together happily, too. The goats browse dry leaves and twigs, eating brush, while the sheep are grazers, so they aren’t competing for the same nutrients. They’re also really lovable. Well, the females, anyway. It only takes one buck within 5 miles (it says here) to induce the does to produce a gag-inducing hormone in their milk. We were throwing out the milk after the girls had been mated, until we realized the chickens found it perfectly tasty. And it didn’t stink by the time it got to the eggs! By the way, the extra (male) kids are the tastiest meat there is! Texture of veal, very mild, not like lamb’s pronounced flavor. Your statement that the problem raising sheep is that they have a hard time in mild temperate or humid environments; they need dry arid climes doesnt hold up. Why are New Zealand, Britain, Ireland, and our own extremely soggy Willamette Valley landscapes major producers or sheep & wool. 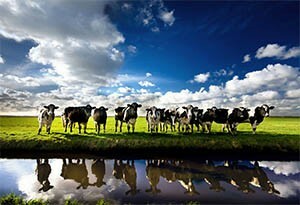 They dot the land from pasture to pasture. There are an abundance of breeds, so perhaps the breeds found in the middle east fit your statement. The problem with raising sheep is that they are one of the dumbest of animals. They require constant monitoring. If there’s a tiny hole they’ll fall into it & break something. If there’s a narrow opening, they’ll get stuck in it. Chickens are geniuses in comparison to sheep. That is why the Bible calls Jesus the good Shepherd & refers to people as the sheep . We’re a lot of trouble; we do dumb things that cause ourselves & others a lot of trouble. You left off geese! We have wild geese in several areas of our county. Believe me, when the SHTF, we have plans for rounding up a bunch of them. We’ll have to get them to a pond nearby, and guard them while they are there. The eggs are larger than duck eggs, and one will serve for 2 chickie eggs. However, they only lay once a year, and the eggs are fertilized. I’d save the eggs and let them hatch, then trade off the goslings for items we needed. OTOH, I have no objection to eating a freshly laid goose egg, even if fertilized!